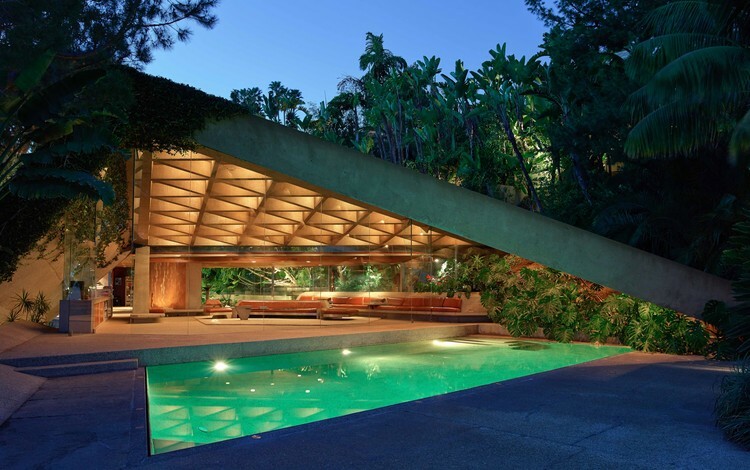 A famous Los Angeles mansion that starred in “The Big Lebowski” will be open to visits from the public, thanks to its owner’s generous donation to LACMA, the Los Angles County Museum of Art. 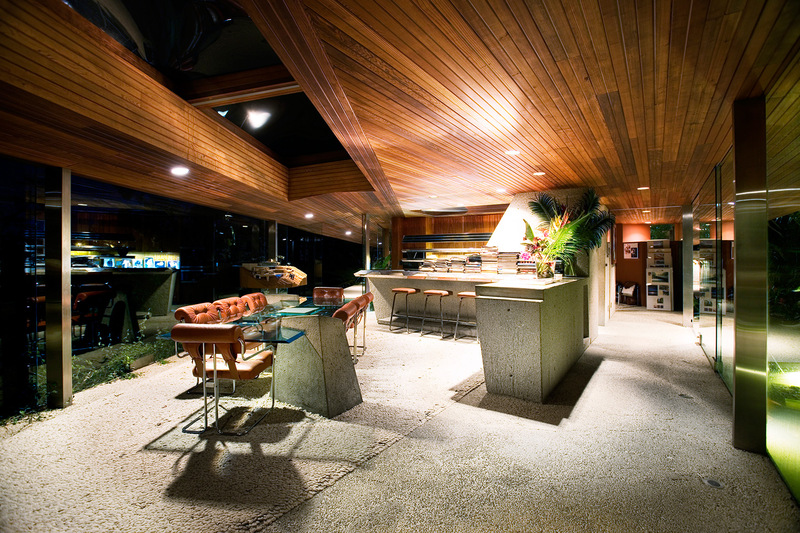 The House was designed by well-known L.A. architect John Lautner (1911-1994) in 1961, an artist mentored by Frank Lloyd Wright. James Goldstein, a colorful local character in his ’70s (he won’t share his real age) who fits the idea of the eccentric millionaire to a T and who is known as the “NBA super fan” that attends more than 100 NBA games every season, acquired this house in 1972. He tinkered with it for 35 years and has now gifted it to the museum, along with a $17 million maintenance fund, an incredible piece of so-called sky space artwork by James Turrell and an additional building that features an office and nightclub where Oscar winner Leonardo DiCaprio and Mick Jagger have partied. 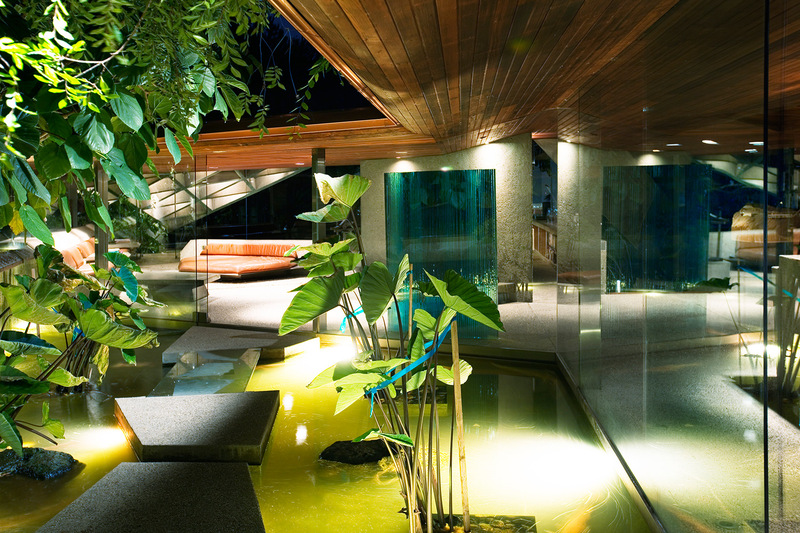 The unusual home is surrounded by a lush tropical jungle, which Goldstein planted right when he acquired the house. He also added lots of glass, custom concrete furniture built right into the rooms, a closet that behaves like a dry cleaner rack, a TV that descends from the wooden ceiling and a sink with a hidden spout. 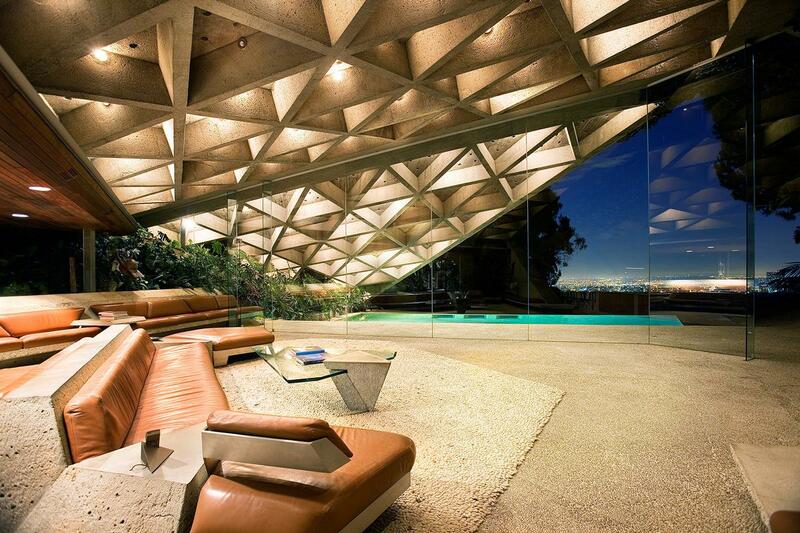 He received a lot of help from architect Lautner himself! Lautner’s favorite thing, according to Goldstein, was to conceal things. The house enjoys a stunning canyon setting on four acres with vast views of downtown and the ocean.